London, UK (BBN)-Zia Haider Rahman has won Britain’s oldest literary prize, the James Tait Black award, for his first novel, In the Light of What We Know. 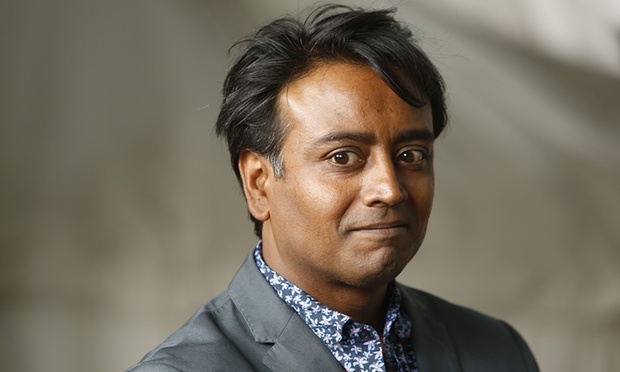 Rahman, who was born in Bangladesh and who has worked as an investment banker and a human rights lawyer, took this year’s prize at the Edinburgh international book festival on Monday evening for his story of an investment banker who receives a visit from an old friend, reports The Guardian. James Wood in the New Yorker called In the Light of What We Know “astonishingly achieved for a first book”, while the Observer found it to be “an extraordinary meditation on the limits and uses of human knowledge, a heartbreaking love story and a gripping account of one man’s psychological disintegration”. The University of Edinburgh’s professor Randall Stevenson, chairman of the prize, said it “addresses a whole range of issues – the war in Afghanistan, the rise of Muslim fundamentalism and the banking crisis”, and that Rahman “also explores problematic areas of politics and finance, which are often exiled from the pages of fiction, immersing his readers, dauntingly but comprehensibly”. “The novel’s impressive scope is complemented by Rahman’s ability to locate the personal in the political,” added Stevenson. Rahman’s debut beat three other novels – Dear Thief by Samantha Harvey, Fourth of July Creek by Smith Henderson and We Are Not Ourselves by Matthew Thomas – to win the award, which is given annually by the University of Edinburgh after its academics and postgraduate students read more than 400 novels to nominate a shortlist. Running since 1919 when it was established by Janet Coats, the widow of publisher James Tait Black, to “commemorate her husband’s love of good books”, the £10,000 fiction award has gone in the past to DH Lawrence, Angela Carter and Graham Greene. The £10,000 biography prize was also awarded on Monday evening, going to Richard Benson for his work The Valley, a biographical study of the author’s own Yorkshire family over the last 100 years. Dan Davies’ biography of Jimmy Savile had also been shortlisted for the prize, as had Rachel Holmes’s biography of Eleanor Marx, and Patrick McGuinness’s Other People’s Countries.